Judy Meister is a long-standing member of the Arts+ Music Faculty. She plays as an extra violin with the Charlotte Symphony and has participated in performances with the Out of Bounds Ensemble, as well as various other ensembles in the area. Before moving to Charlotte, Judy was a full time violinist with the Virginia Symphony during which she participated in VSO’s Carnegie Hall debut, and before that, played full time in the Knoxville Symphony. She received a Master of Music in Violin Performance and Literature from the University of Notre Dame and continued on their faculty and later on the faculty of the College of William and Mary. 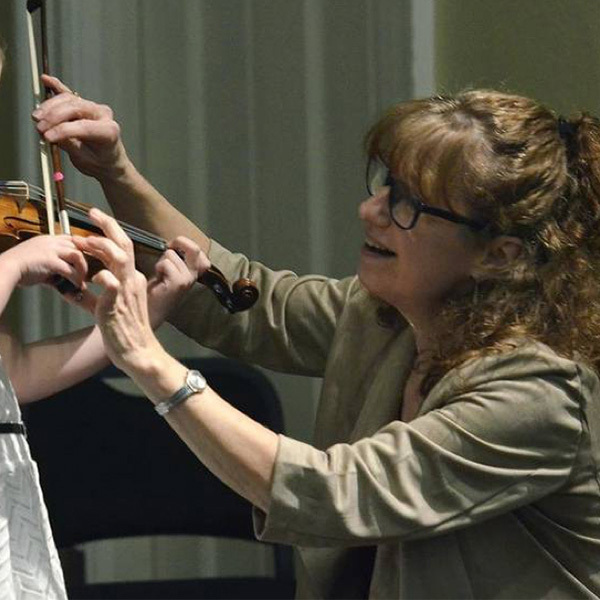 She has served as adjunct violin faculty for several schools in the Charlotte area, including Winthrop University, Wingate University, and Central Piedmont Community College. Judy has enjoyed working with youth ensembles throughout her career. While in Norfolk, she conducted the Bay Youth Strings, the middle school group for the Bay Youth Orchestras. After moving to the Charlotte area, she continued her interests in this area by helping form the Union Symphony Youth Orchestra and acting as their first violin coach in conjunction with serving as concertmaster of the Union Symphony. Today, Judy is happy to help many aspiring violinists and violists experience the joy in sharing music through the youth orchestras in the area as well as other ensembles throughout the state!